The MammoRx Breast Board allows you to easily immobilize patients in a comfortable and reproducible way. The carbon fibre system meets and exceeds changing needs of radiation therapists. It is thin, strong and light and features lower attenuation levels. 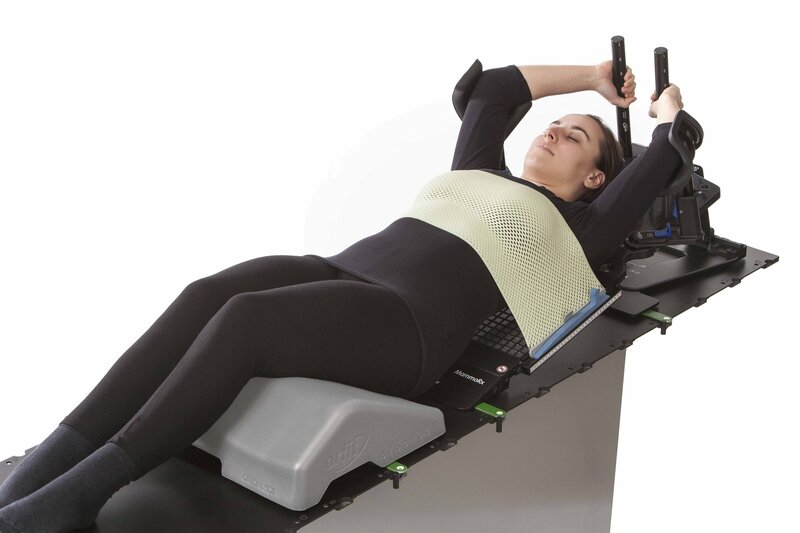 As one of the most lightweight boards on the market, the MammoRx Breast Board is easy to lift and replace on the treatment table – a key benefit when you consider how often therapists remove patient positioning boards each day. 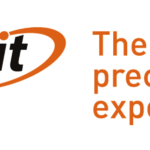 The breast board delivers precise immobilization for IMRT, enhanced set-up reproducibility and is compatible with Orfit thermoplastic masks. The built-in angle supports are positioned in a more superior direction to offer a more stable inclination system. 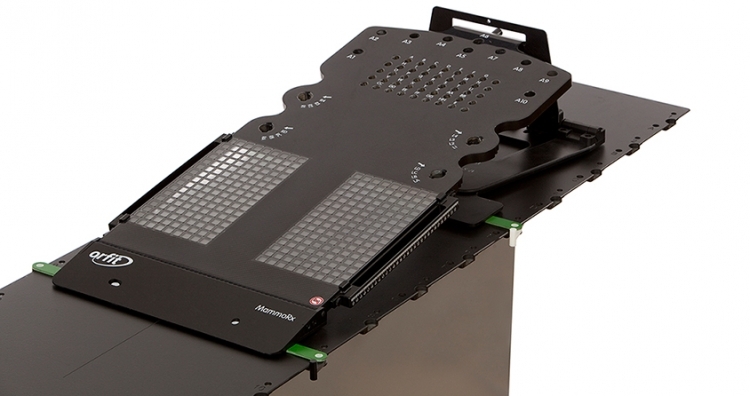 The angle support can be easily switched by a single-handed trigger action. To increase patient comfort, the bottom stop has been enlarged. Both the upper and lower legs are supported, preventing the creation of a pressure point at the buttocks. 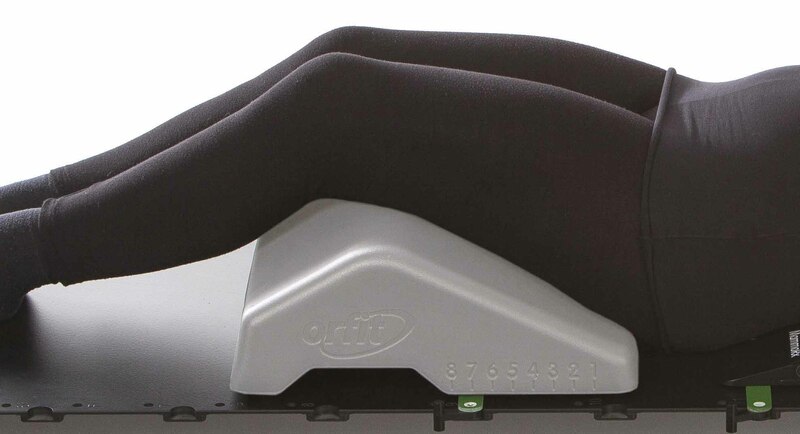 The standard Orfit arm- and hand supports as well as various types of head supports such as the standard Orfit High Precision Head Support still fit the newly designed MammoRx Breast Board. 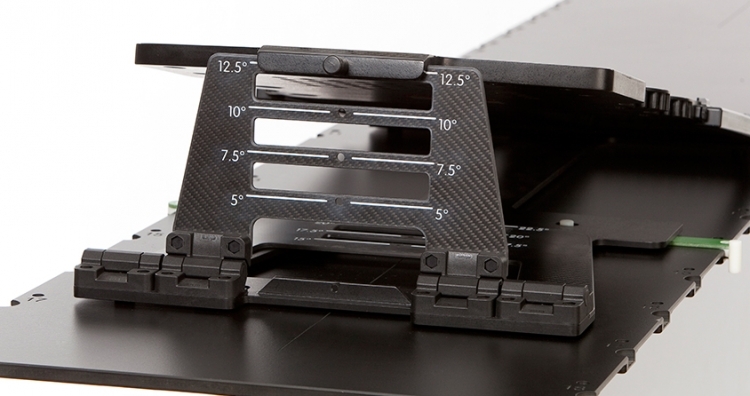 The arm supports can easily be moved between eight settings. The hand support can now be indexed in ten instead of five indexing holes which will even allow you to position the patient in a more comfortable and stable way. Other beneficial features like a metal free CT scan area and compatibility with the most small-bore CT environments are maintained.